‘Tis the season for a sunny, warm beach vacation and Maui seems to be hitting all the right notes lately as the perfect winter getaway. We’ve rounded up our favourite recent Maui shoots, from honeymoons to family getaways, to give you some sunny, sandy winter holiday inspiration. “We were in Maui for our honeymoon. During our photoshoot with Naomi, we came across a huge pig. We weren’t sure if it was wild or not since Hawaii does have wild boars! It ended up eating my lei that I had put aside after using it as a photo prop…and it also ended up being someone’s pet that they were taking for a walk on the beach!!! 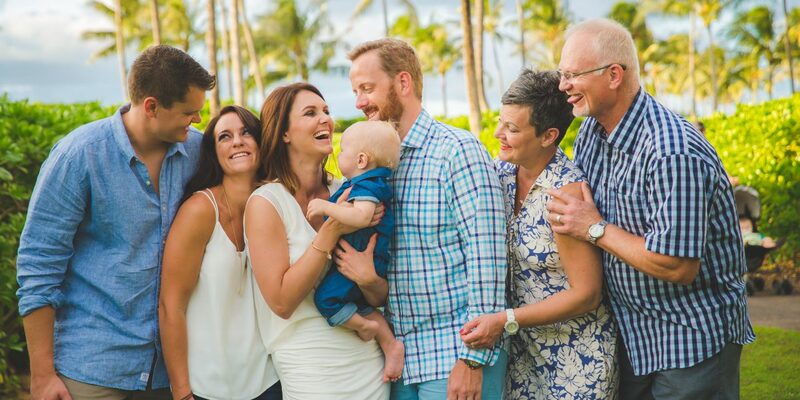 And just in case you missed it, we had the pleasure of photographing Jillian Harris during her recent Maui family vacation. Check out all the details and photos here.